How do I view the patterns on this site? You need to have Adobe Acrobat Reader installed to view the patterns. If you do not have it, go to www.adobe.com to download the free software. Can I have the patterns mailed to me? We currently do not ship any paper patterns. All patterns on this site can be downloaded and you print it. How long is the pattern I purchased retained in my account? The file for the pattern is retained in your account for 30 days or until you have downloaded it 3 times, whichever comes first. We recommend you save the file on your computer or disk to avoid losing it. How do I download the patterns? You will receive an email with a download link for the pattern you purchased. You can also login to your account and download from your purchase history. See the HOW TO DOWNLOAD page for a step by step guide on how to download. I purchased a chart but do not understand how these are laid out. A step by step tutorial can be found on our HOW TO page. I forgot my password and can't login. Click on the "forgot password" link on the login page and you will be sent a new password. You can change this later in your account after you login. Do you have a store I can go to and look at the patterns? We not have a physical store. Our charts are available for instant download 24/7 online. This makes it more accessible to everyone no matter which part of the world they maybe. Can you print the pattern and create a kit with floss and fabric for me? Our charts are purely PDF instant downloads. There are lots of print on demand online stores now that can print your PDF purchase. You can also go to your local Office Depot or Fedex and they can print it for you or you can ask a friend who owns a printer to help you print it. Can I resell the PDF patterns? Patterns are for personal use only. You may create a cross stitch project from the chart and sell the finished work. 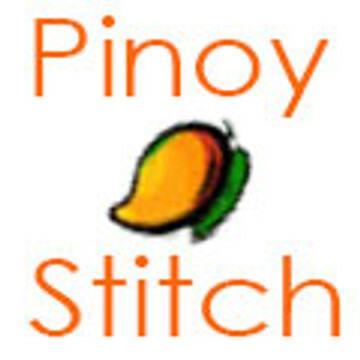 You are not allowed to contract a third party to stitch for you and sell the finished work in bulk. You may not resell the cross stitch pattern or make it into a kit and resell them. I purchased your PDF chart from another source or I found your PDF chart being sold by another company. How do I report this? If you purchased a PDF chart from somebody else, this is not allowed. We are the only ones selling the patterns in PDF format. Certified resellers are licensed to sell our charts in print format but never in PDF or digital version. If you find a person or company doing so, please report it by contacting us. I created a project and want to show you the finished work to add to your stitcher's gallery. Great! Contact us and we will let you know where you can send the image files. I am having problems getting my credit card to process on your site. No problem. Please contact us here and we will try to get it resolved. Yes! More information about wholesale here.